You’ll be surprised how many people NEVER even start! Today on the blog, I’m going to open the book and spill the beans for you. 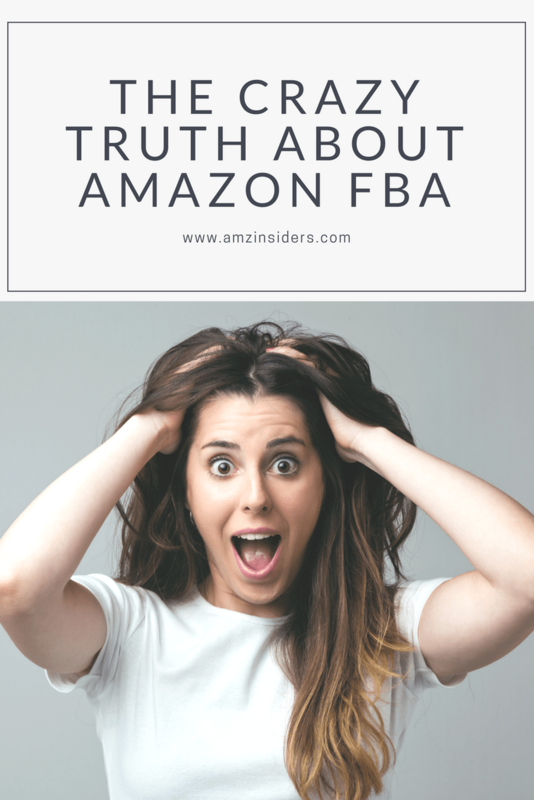 It’s true… we teach people about crushing it on Amazon all the time, but… it’s the getting started part that can be the hardest. And the best thing I can say about that is simply… Start now! Don’t wait. Don’t do it tomorrow. Don’t get to it someday. If you never start, you’ll never reach your dreams. So, in honor of this thought, we’re going to discuss FIVE tips on finding the right product to start private-labeling and selling on Amazon. One of the fastest ways to boost your profit margins is to start selling private label products in your Amazon store. By private-labeling a product, you can put your brand name on a highly-profitable product that will fly off of your digital shelves without the hassle of inventing something new. It can be easier said than done in some cases, and finding the best product to private label can be a challenge if you don’t know what to look for. We're here to help! In this blog post, we'll go over the 5 tips that we've used in the past with great success to find and sell the best private label products! Whichever market you decide to enter, you must make sure that it is profitable otherwise, what’s the point? Many new sellers find themselves in a common predicament when they choose markets and niches based solely on their own narrow interests. It’s not about what you want to buy, but what millions of people want to buy. You must do your research when picking your target market including finding the keywords that shoppers use, the type of products that they are searching for, and the current success rate of products within the niche on Amazon. Researching these things will give you a proof of concept before you even enter the market, so you can confidently move forward knowing there is a significant number of hungry buyers in the niche. You don't want to go head-to-head with prominent brands because more times than not, you'll lose. Huge brands have a following and have the name recognition that you don't. Instead, during your product research on Amazon, you should find products that are relatively under the radar or are barely beginning to pick up steam. Look for items with fewer reviews and not much competition. This makes it easier for you to enter the marketplace as one of the few sellers offering the product. When you’re narrowing down your list of potential products, there are a few attributes that you should look for that will make selling and shipping much easier. Especially if this is your first time private-labeling on Amazon, you want to enter the market with a relatively safe product that is easy to ship, cheap to manufacture, and maximizes your profit margins. Small and light so it is easy to ship and the costs won’t get out of control. Nothing fragile to limit potential shipping damages. Not limited to seasons so you can sell it year-round. Is in a category that you can expand upon in the future with more products. Is eligible for Amazon PPC campaigns to maximize exposure. Offered at a relatively cheap price point ($15-$50) for more sales and less initial capital investment. There isn't one single “perfect product,” but if you can check all of these boxes, your chances of having a winning private label product are much higher than simply choosing off of intuition. Tip 4: Test Your Samples! Once you do find your product and you’ve gotten in touch with a supplier overseas, it is crucial that you test and thoroughly examine your samples. A lot of new sellers skip this step and are in a rush to start selling their products. The problem is if you don't notice any potential defects your customers will and your reviews will read a lot more like hate mail. Take the time to make sure your products are of high-quality and worthy of your brand name. Would you buy it? If not, it's back to the drawing board. Speaking of samples, we recommend that you try and sell a handful of samples at first to test the waters before placing a bulk order. The last thing you want to do is end up with a garage full of kitty magnets that nobody wants to buy. Start small and if people start buying, then you expand and start going big-time with your Amazon store. With these tips in mind, you should be well on your way to offering a line of products that shopper around the world will love! As long as you are methodical in your approach, you should have pretty good chances of having a bestseller on your hands. Now, one last bonus tip: START NOW!